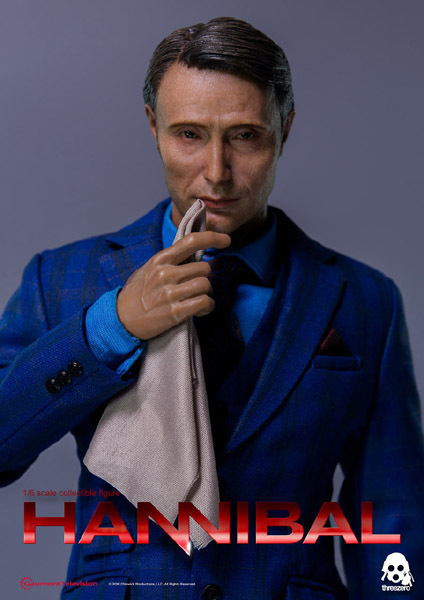 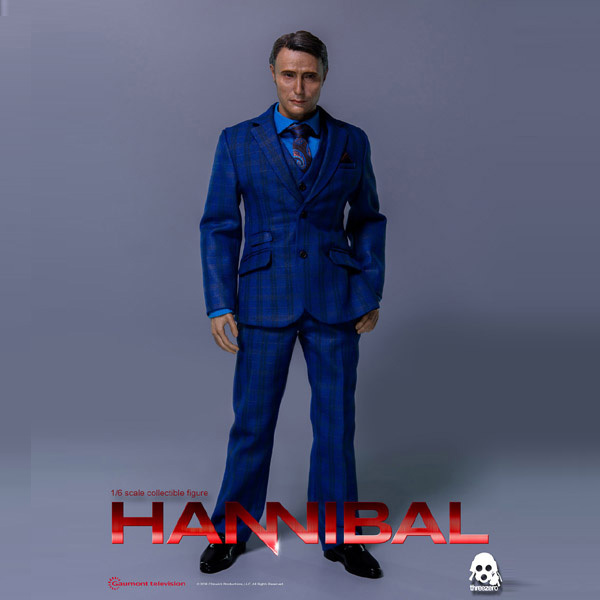 1/6th scale HANNIBAL Dr. Hannibal Lecter collectible figure is available for pre-order for a limited time starting from now at www.threezerostore.com ! 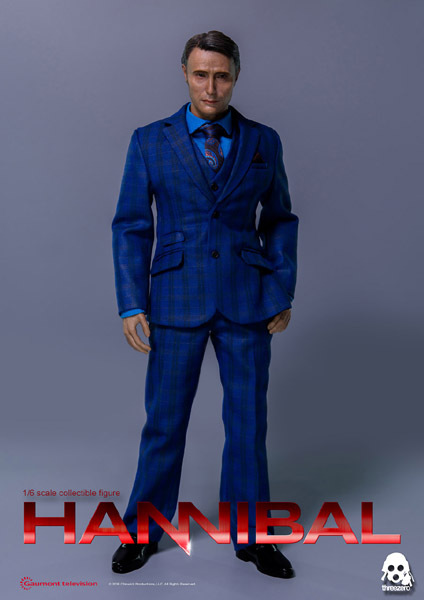 Dr. Hannibal Lecter price at www.threezerostore.com is 150USD/1170HKD with worldwide shipping included in the price. Dr. Hannibal Lecter collectible figure stands approximately 12” (30.5cm) tall, it's fully-articulated and highly detailed collectible, featuring likeness to the character portrayed in critically acclaimed TV series, including hand-stitched tailored 3-piece suit (Slacks, Vest and Coat), various extremely detailed accessories, Kill Suit, two Knives and three pairs of exchangeable hands. 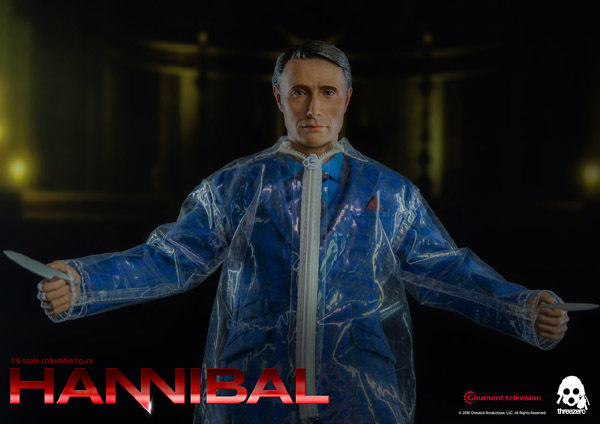 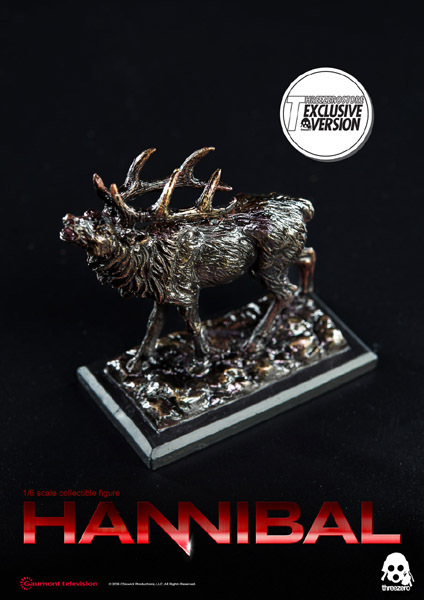 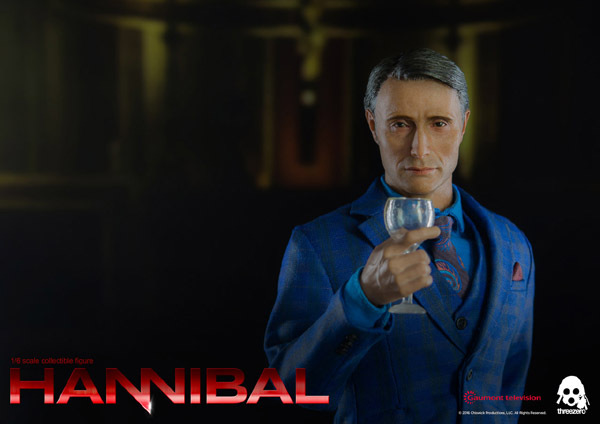 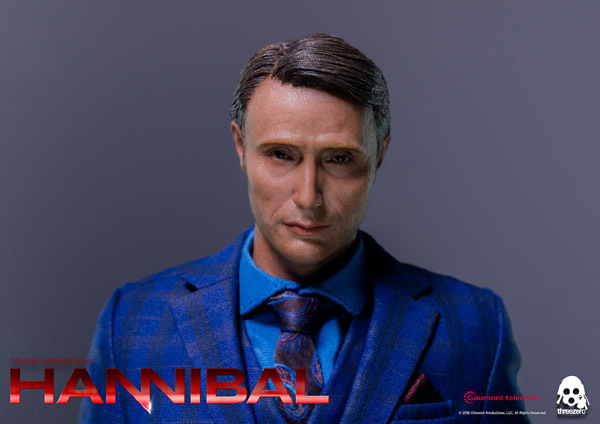 Dr. Hannibal Lecter purchased at Threezero Store comes with Stag Statue as the exclusive accessory. 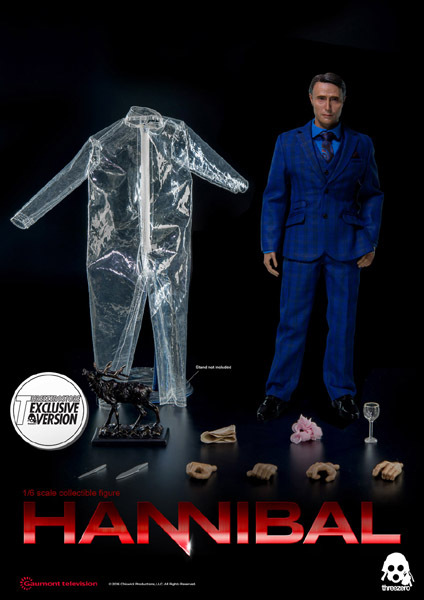 Dr. Hannibal Lecter collectible figure stands approximately 12” (30.5cm) tall, it’s fully-articulated and highly detailed collectible, featuring likeness to the character portrayed in critically acclaimed TV series, including hand-stitched tailored 3-piece suit (Slacks, Vest and Coat), various extremely detailed accessories, Kill Suit, two Knives and three pairs of exchangeable hands. 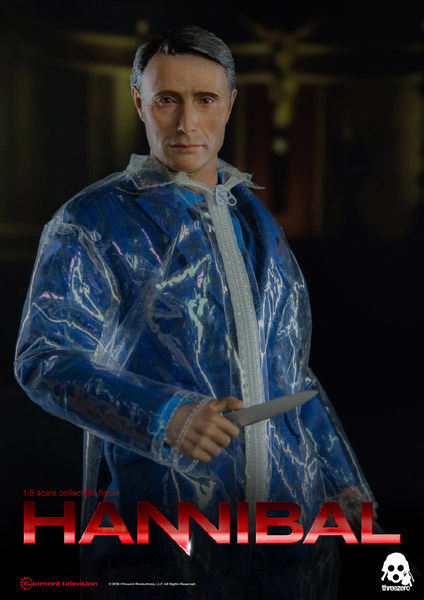 -One pair for holding weapons hands.